Please double check your reservation details before clicking on "Book now!". 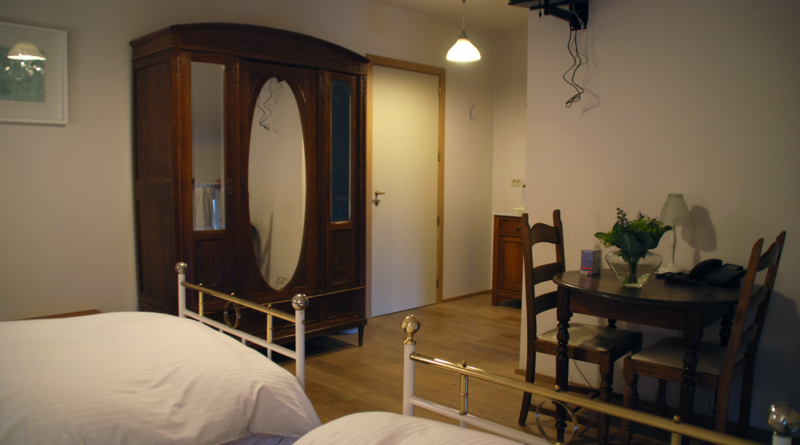 We have eight rooms furnished for you, each of them having its own character. 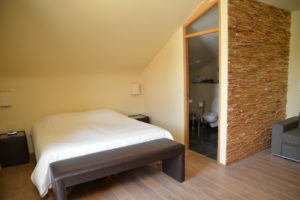 We also have taken care of small details that will make your stay even more agreeable, and of course, in a farm hotel, even the rooms remind you of nature. 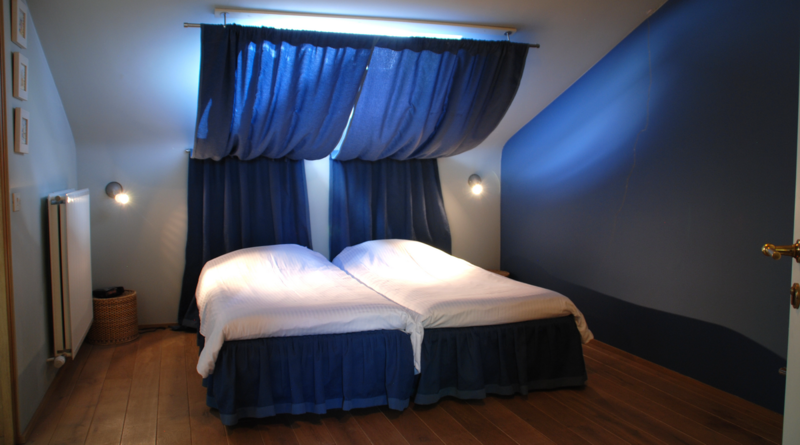 They are spacious and all have their own bathroom with shower, washbasin and toilet. You also dispose of a sitting area with TV, telephone and wireless internet. 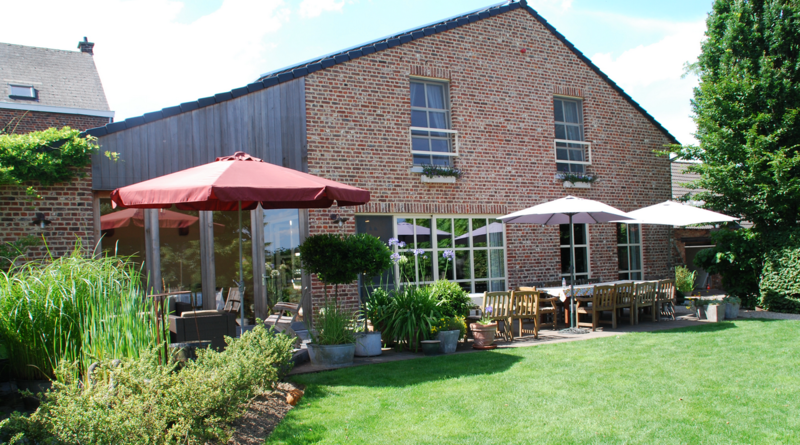 In the evening, you may enjoy our own beer 'Hof ter Vrijlegem' on our flowered garden terrace and look at the splendid panorama of fields and meadows. When the weather is less beautiful, you can read a book by the wood fire. Children under 12 sharing the room of their parents: 20 euro / night. 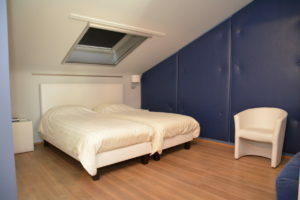 Thematic room of 25 m2 with 1 twin (two single beds) and with a parquet floor. The room has free Wi-Fi, a TV (with satellite channels), minibar, toilet, shower and bath (also hairdryer), plus a work area, wardrobe and sitting area. 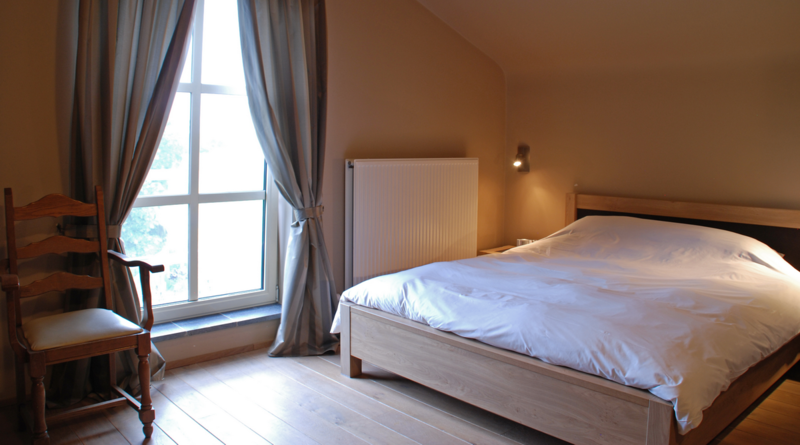 Thematic room of 25 m2 with a double bed and a parquet floor. The room has free Wi-Fi, a TV (with satellite channels), minibar, toilet, shower and bath (also hairdryer), plus a work area, wardrobe and sitting area. Check-in as from 03.00 p.m.; check-out until 11.00 a.m. Reception is open until 11.00 p.m.
By train: Line 60 (Brussels - Dendermonde) station Mollem on walking distance (8 minutes).